A solid roof in condition is essential for keeping your home warm and well-insulated. If you have an older home and you start noticing issues with the roof, repairs may not be enough. Intelligent Design can help you get a brand new roof for your home or business. A new roof will improve your building’s look and reinforce protection from the outside elements. Now is the time to schedule a roof replacement this spring. We’ll be ready to upgrade your roof. Is Your Roof 25 Years Old? If your roof is nearing the 25-year mark, it will start showing signs of wear and tear. Sure, you may have a few more years left; but you’ll spend too much money on roofing repairs and maintenance. A brand new roof will cost more up front, but save you more money in the long run. Intelligent Design can sit down with you and go over the details of your roof. We can help you look at all the options so that we can design the roof according to home’s floorplan. 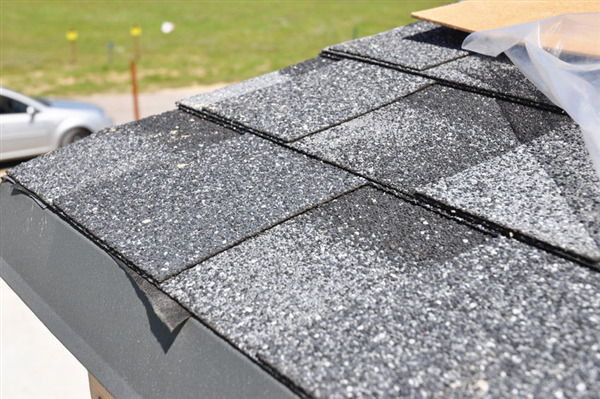 Most homeowners in the Twin Cities Metro area choose asphalt shingles. They are affordable, easy to install and look great with almost any home design. You may also want to look into metal roofing material. Metal roofs often come with a warranty of 30 to 50 years. If you own a business, you have more options. The type of roof we install usually depends on the kind of building you have and what your roofing needs are. ● The roof covering is cracking, chipping, or blistering. ● Components are missing from the roof such as attachments or shingles. ● You’re spending too much money to replace specific components. ● You’ve noticed leaks in the attic or water stains on the walls and ceiling. ● The roof does not pass a professional inspection. ● You notice granules or roof components in the gutter system. In the Twin Cities area, home and business owners turn to Intelligent Design for all their roofing needs. We provide full roof installation and replacement for all types of residential and commercial buildings. From design to completion we can work closely with you through every stage of the roof replacement. We offer affordable rates, high-quality work, and fast, friendly service to all our clients. If you would like to schedule an initial roofing inspection, contact us at 763-315-0745, or you can message us on our contact page.